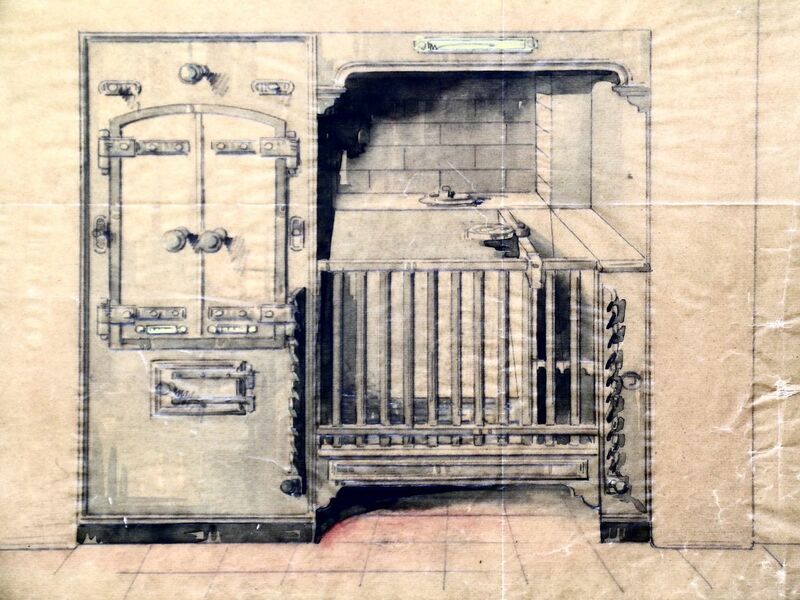 Well before the arrival of the Aga, the Rayburn or the Esse Cooker Garton & King , and their predecessors Garton & Jarvis, not only retailed other manufacturers Stoves – the Eagle Range & Grate Company being one and the Herald range of Stoves being another example – but also manufactured and marketed their own. The 1851 Great Exhibition boosted the fame and reputation of Garton & Jarvis as it was then, not least by the patronage afforded by the H.R.H. The Prince Consort of the Cottage Stove. (See Chapter 5) Two photographs in this section show the ‘Model Cottage’ after it was relocated and rebuilt in Kennington Park, London after the Exhibition. The Prince Consort was deeply involved in improving conditions for the working man and his Model Cottage incorporated many of his ideas. Search Model Cottage http://www.vam.ac.uk/moc/ leads to an interesting & simple resumee of this. In 1855 Garton & Jarvis displayed at another great trade exhibition The Paris Universal Exhibition. Logistically this must have been quite an undertaking as no doubt the items for display had to be conveyed by horse and cart and rail and ship to France and then by rail and horse and cart to the Exhibition site. No forklifts, no Channel Tunnel and certainly no Road Hauliers. 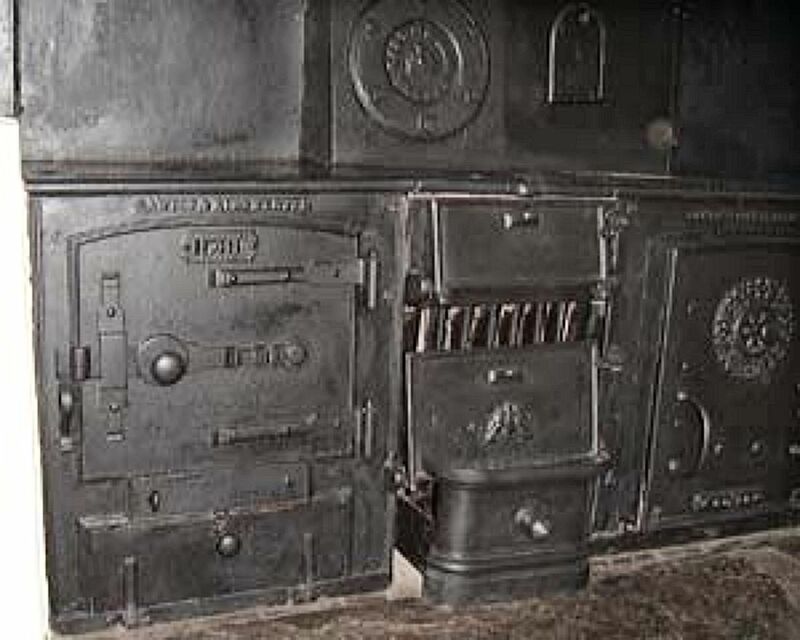 From 1850 sales not only of the Cottage Stove but the Medium and Larger Stoves increased (Haldon, Exminster, Exonian and Rectory are some examples) and it is most fortunate that records exist showing not only the Private Purchases made from 1850 up to about 1870 but for certain models up to about 1900. The documentation is enthralling reading as it gives the name of the purchaser, the type and size of the stove and the amount paid and the date. For the larger stoves it is a heady mix of Nobility’ Clergymen and well heeled businessmen. Amongst the list of purchasers one can tell that Agents for the Company are working hard to export the products and Sydney, Australia and Wellington, New Zealand appear as some of the more distant destinations. 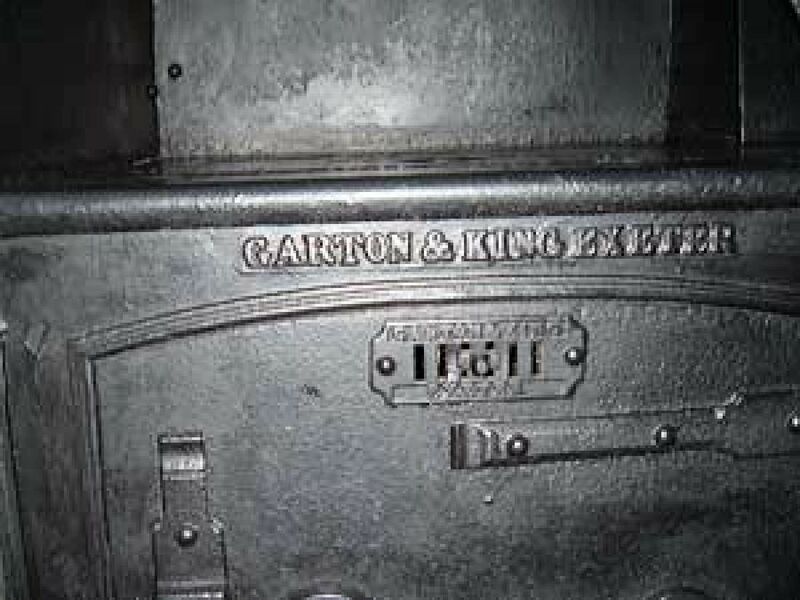 Gunn & Ross of Dunedin in south island were one of the stockists of Garton & Jarvis’s (and later Garton & King’s) Stoves. 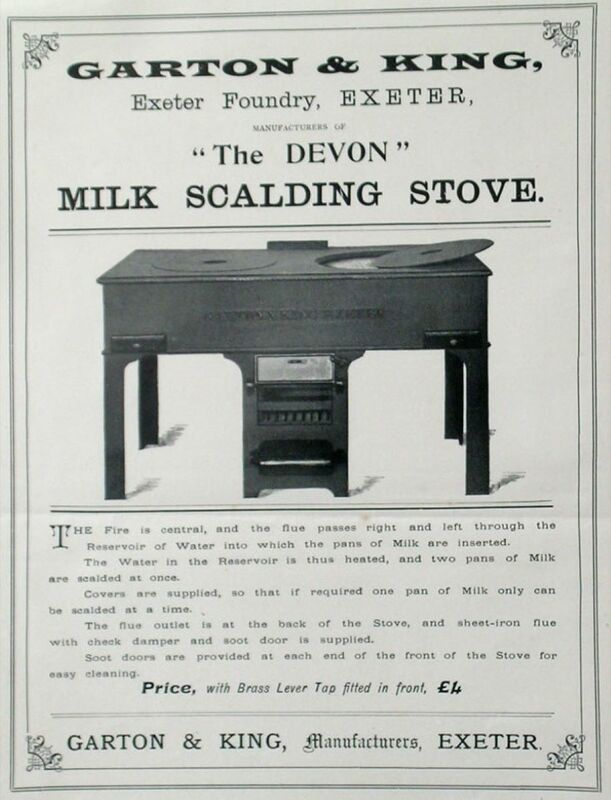 The 1900 Catalogue mentions many stoves with familiar Devon names – The Exonian, The Haldon and the Exminster Range. 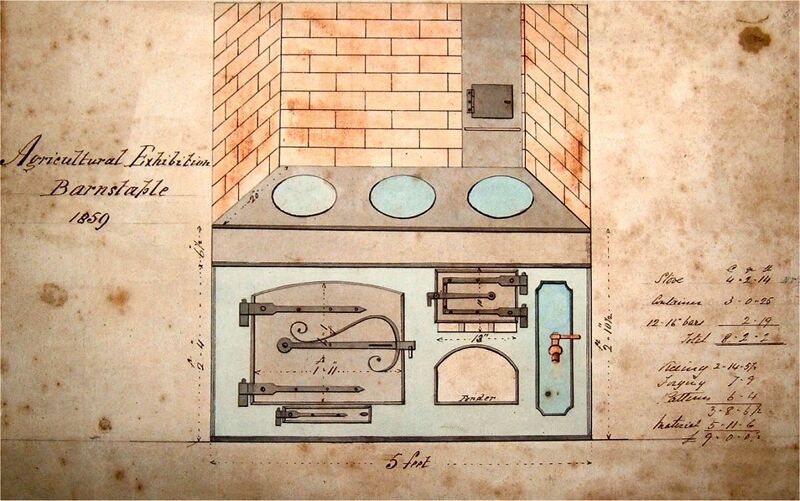 Some of the drawings are works of art and a few examples are to be seen here including some for Steam Cooking Apparatus. I have included also some photographs of items still around today! 40 Gall: Water – 150 Gall: Potatoes – 90 Gall: Meat & Soups – Tea 12 Gall: Kettle. One can only assume this was intended for a large institution like a Hospital or a Hotel. Of the size of, say, the Rougemont. 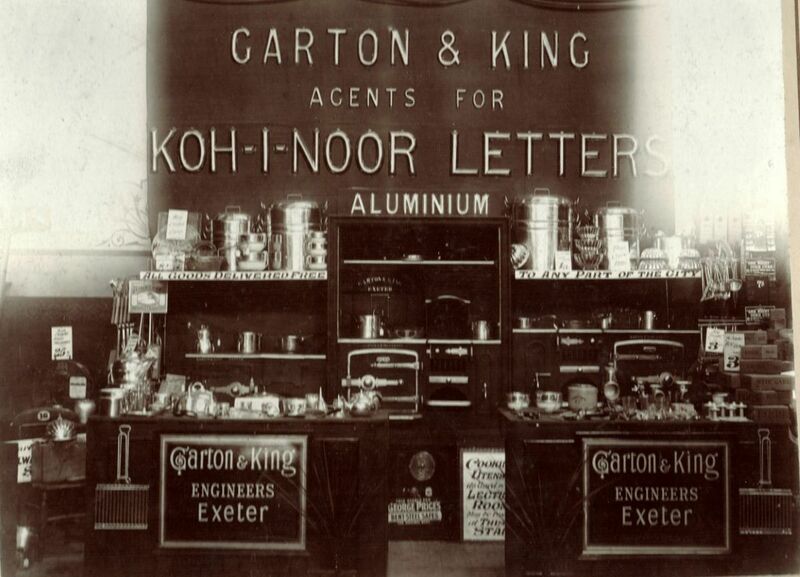 I mention this Hotel as there is firm evidence that Garton & King supplied all the kitchen equipment for the Rougemont Kitchens as well as the Laundry and Steam Drying Room. The Poster is printed by Besley & Son Exeter. The Exeter Foundry means Waterbeer Street Foundry. 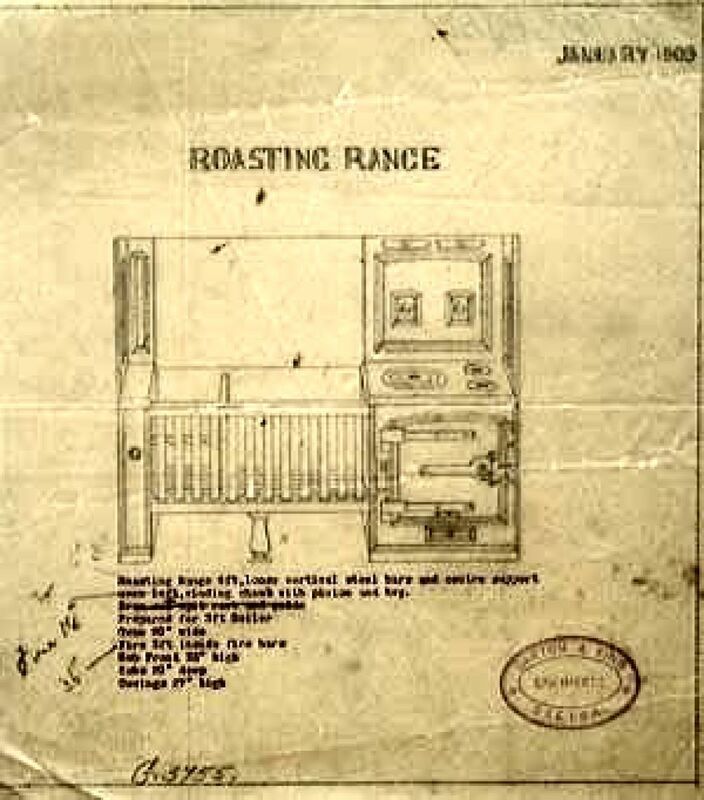 The stove was available at 30” 33” & 36” widths and was available Right or Left handed. 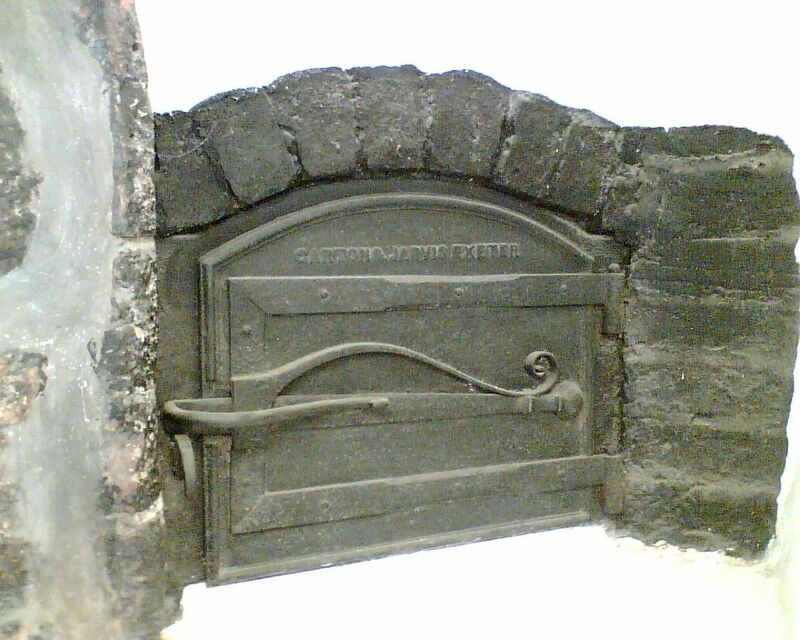 By 1900 this stove had increased to £2.2s.6d, £2.7s.6d and to £2.12s.6d for the 3ft wide model. When winter makes its mark on the countryside and the temperatures fall, spare a thought for the working family in the middle to late 19th and early 20th Centuries. We do so love to immerse ourselves in self pity and gripe about fuel costs and how to make the housekeeping budget spread a little further but spare some thought for our predecessors in those Victorian and early Edwardian times. Shown here is what those working families had to cook on and heat water on and from. Whereas Town Gas might have been available to urban residents - electricity was in its infancy and no-one had ever heard of Microwaves, Combi Boilers, Ceramic hobs or even AGAs and Multifuel Cookers - in the smaller towns and villages and out in the Countryside this is the sort of stove on which many families used in the kitchen and on which they were dependant. 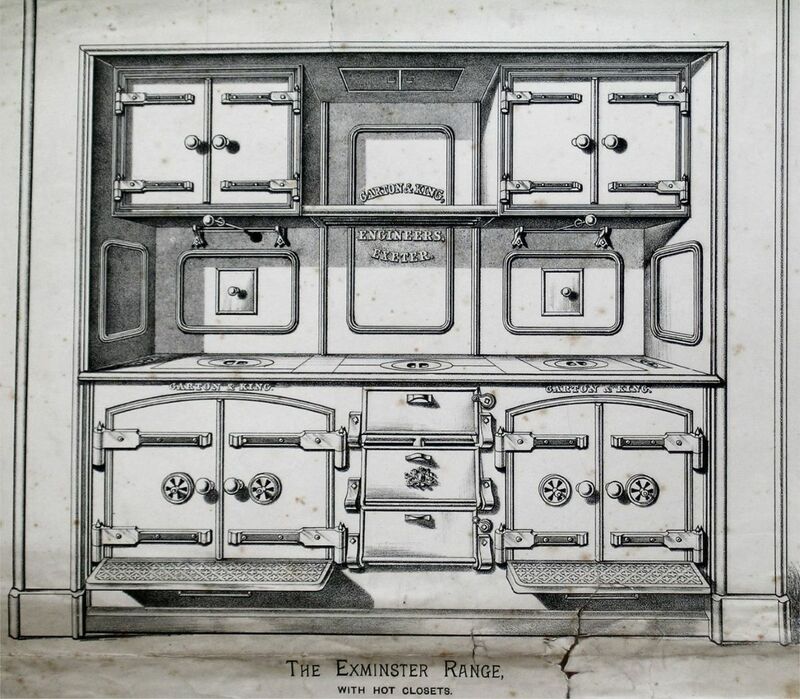 With the increased use of Gas Cookers as more and more Gasworks were commissioned and the spread of the Electric Grid System and the development and improvement of Electric Heating and Cooking Appliances it is hard to imagine just what our forebears had to depend on on a daily basis. What is even harder to imagine is a home that still retains the stove used by the smaller household of that era, albeit not in use, and to go to an extreme, to discover the Holy Grail - a GARTON & KING Cottage Stove still in its original location! In order to save the owner of the stove from unwelcome visits from enterprising Cooker Salesmen and offers of Hot Meals on Wheels deliveries we can assure you that this owner does have satisfactory up to date Cooking and Hot Water Appliances. I can, however, inform you that this stove is in as property in the Sidford area of Devon and the owner came across this website when she attempted to discover more about the Stove and its manufacturer. A cheering tale to show that these stoves still survive, some of them may be approaching 150 years of age but this is the first one I have heard about and seen in ten years of searching. The more observant of you may have already noticed that the image in the advert and the actual stove are mirror images - close inspection of the advert states, however, that both Right Hand and Left Hand versions were available. If YOU know of a Garton & King, or Garton & Jarvis Stove, Radiator or Boiler of the Victorian or Edwardian era OR an AGA still in use manufactured BEFORE 1940 please tell me about it, my contact details are on the About me page. Milk Scalding Stove What is a Milk Scalding Stove you might well ask! We take pasteurised milk for granted nowadays – pasteurisation does exactly what Scalding did in Victorian times – kills all the bacteria and enzymes once 180 degrees Fahrenheit is reached. In this stove the fire is central and the flue passes right and left through the reservoir of water into which the pans of milk are inserted. The covers are supplied so that, if required, one pan of milk only can be scalded at a time. £4.16s. of your hard earned money in 1900 – but you do get a solid brass tap! Holcombe Court appears to be a treasure trove of things Garton & King!. My thanks to Mr Wiggins for permitting me to visit and photograph this Gem. I would imagine the chances of finding another Stove of this size still in its original location as extremely unlikely. 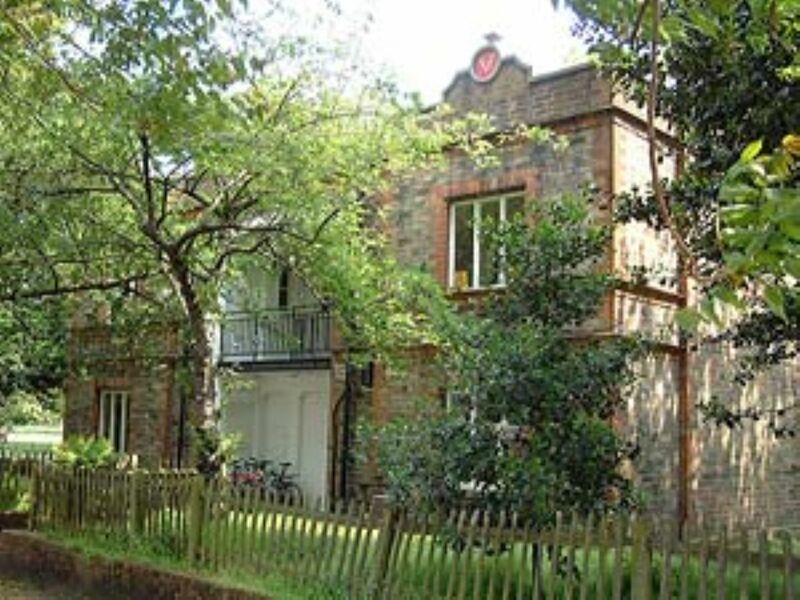 The Rev William Rayer purchased Holcombe Court from the Bluett family in 1858, on his death the estate passed to William Carew Rayer (1820 – 1892). 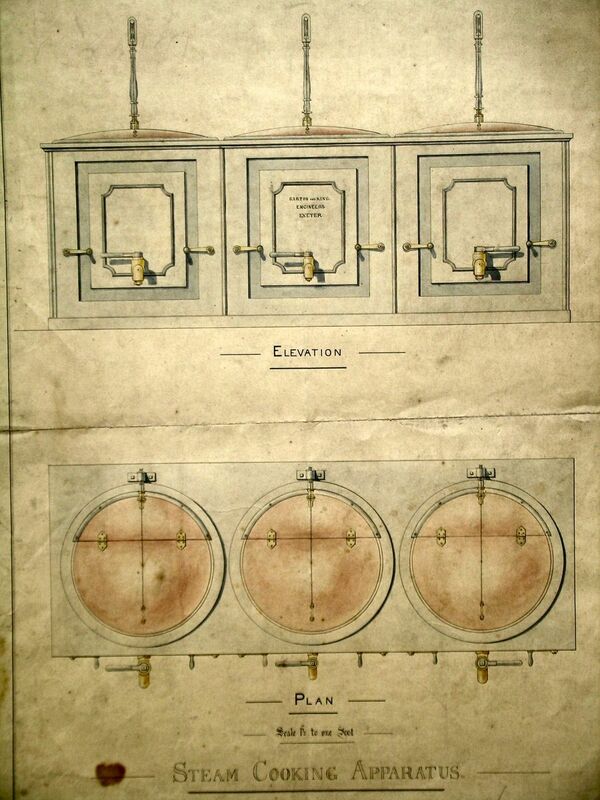 W. C. Rayer purchased the Universal Stove on July 6th 1866 and paid the princely sum of £13 for the 5 foot wide model. Holcombe Court appears in other Product Sections on this Website. This type of apparatus found much favour in Hospitals and Large hotels. This drawing gives no indication of the ultimate customer but should be appreciated for its attention to detail and the colouring, presumably achieved with brush and watercolours. This solidly made apparatus – one can hardly call it an appliance – catered for the industrious and skilful Housewife / Cook. How successful was the combination of the two I do not know. 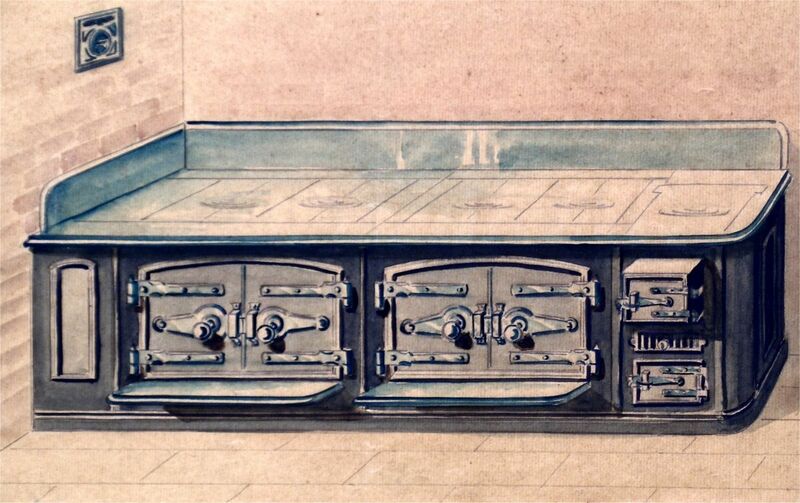 In many instances the bread oven was separate from the main cooker. In 1859 this range was exhibited at the Barnstaple Exhibition. And total price came to £9 .and a halfpenny. Whilst it may seem somewhat mean to charge a halfpenny one should remember that the spending power of that amount was quite considerable and of course the farthing was still in existence until after WW2. Quite when this 6 foot wide range was introduced is uncertain. 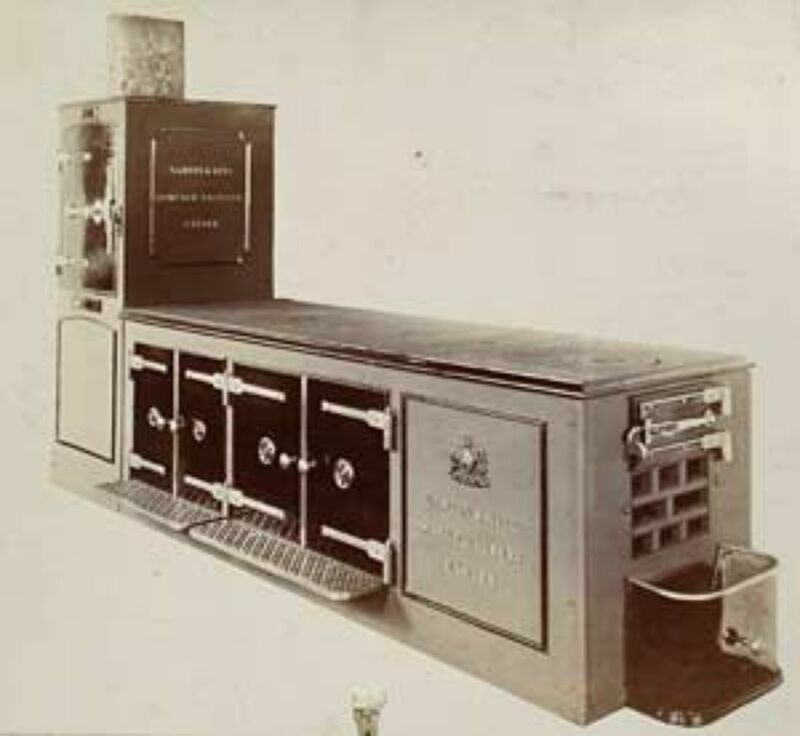 It certainly does not appear in the 1900 Catalogue of Cooking Stoves but the style is similar to other earlier versions. This artists impression of a large range is shown for its artistic quality as a drawing more than anything else. Similar sketches abound in the Archives and this specimen is a particularly attractive example. 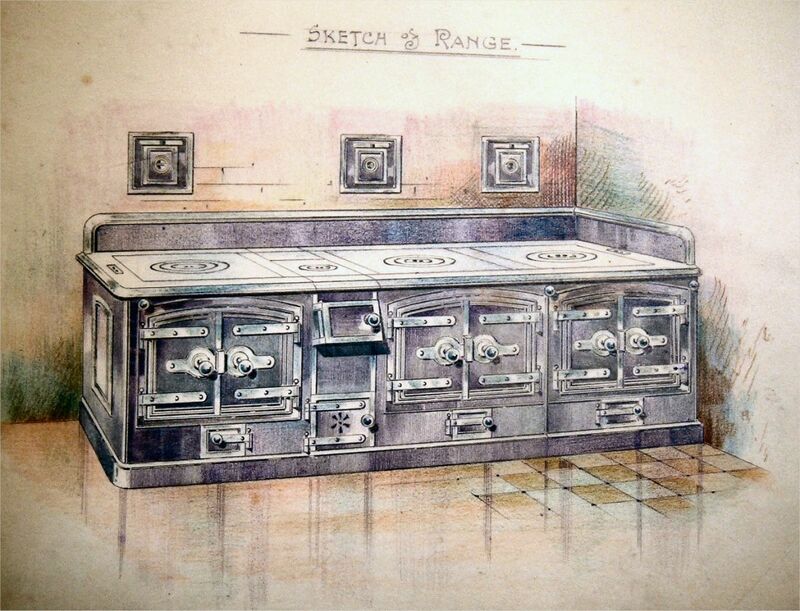 This is an Albumen Photograph of a Full Sized Range. There are no clues to the Model Name or Date of Manufacture but you can be assured that the purchaser would be unable to forget the makers name as it is cast into the ironwork and is particularly prominent at the rear of the range. The fire is placed at the furthest end from the wall – the appliance stands out into the kitchen with the upright Hot Closet fixed in the usual recess of a firplace opening. Models are in the region of 7’ 6” long and around 2’ 6” wide. There are several flues involved in the construction and a check – draught immediately under the hot plate allows the option of Hot Plate Cooking or Roasting & Baking in the Ovens by its diversion of the direction of the heat. The Boiler Equipped Devon Club and Hotel Range. Immediately above the fire at the outward end of the range one can see the flow and return pipes for the boiler option on this series of ranges. On the left we have The Devonian. Invented and manufactured by Garton & King this range is Range is suitable for large establishments and incorporates several improvements on previous models which makes it a most complete kitchen apparatus. You should be able to enlarge this picture to read the detailed description. The model on the right is the Exonian Cooking Stove (with the added bonus of a powerful Back Boiler and provision for steam cooking). 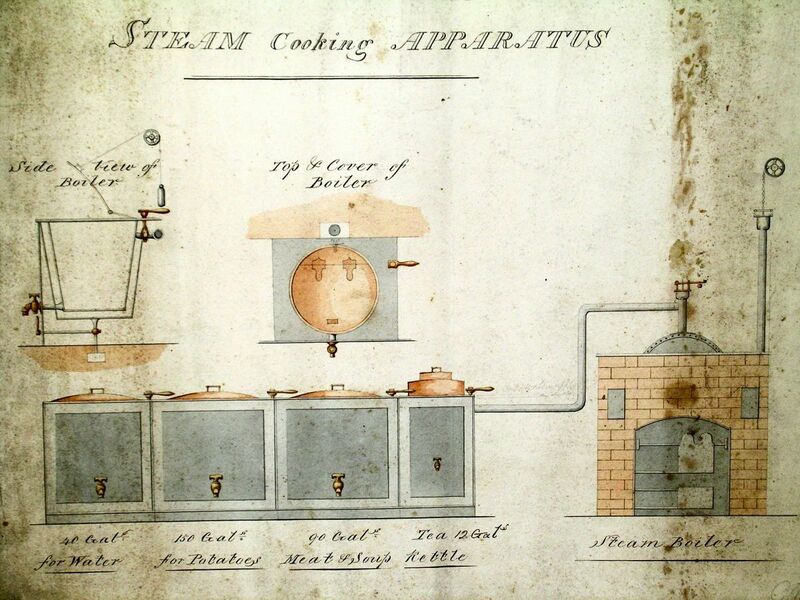 Drawing of a combination Steamer and (Gas) Cooker. 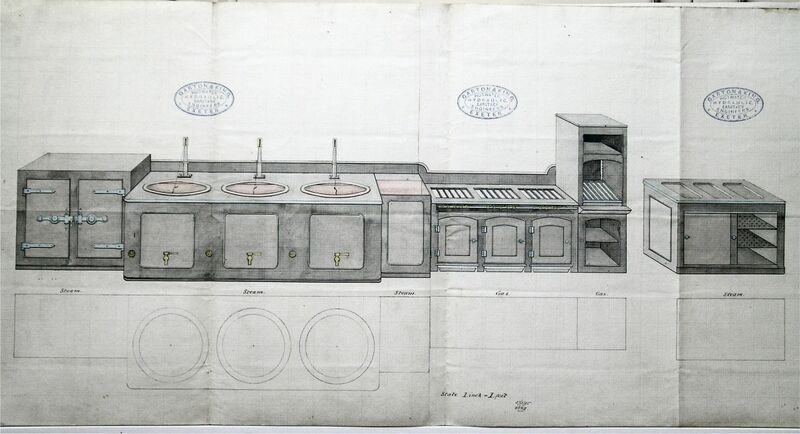 The steamer compartments being on the left hand side of the Drawing. 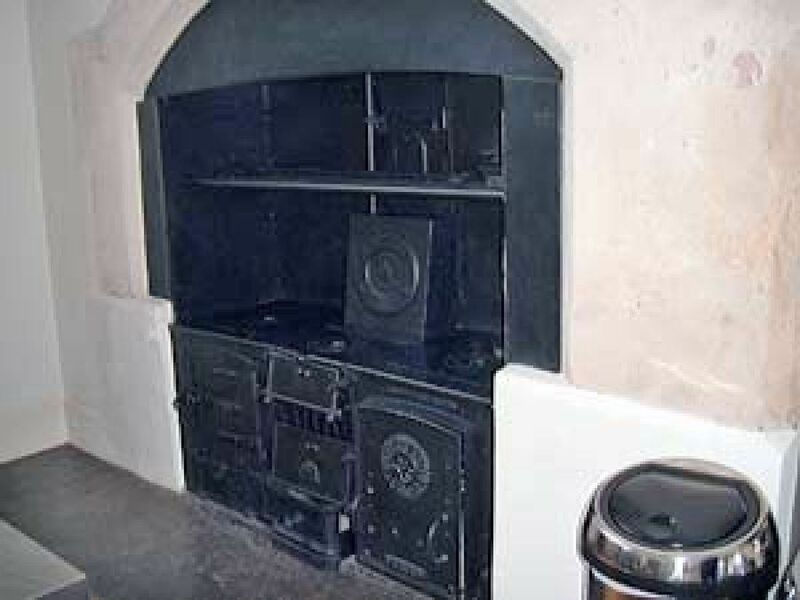 Here we have examples of a Devon Farm Cooking Stoive, a combined Stove and Milk Scalder: the oven enabling the cooking of large joints or the baking of Bread. The Oxford Range requires far more space than most – it seems to be an early model and possibly not a particularly fast selling model as later versions seem to incorporate the right hand Steam Cooking facility and the left hand Hotplate in one. A pen and ink lithograph. The top left and top right compartments are Warming Ovens. Once again the G & K name is a prominent reminder of the manufacturer. To draw these sketches must have been particularly time consuming – most of the catalogues I have seen are in monochrome so I am uncertain as to the idea behind the hand tinting of the drawing. The following two pictures show the Model Cottage as it is today. It was relocated to Kennington Park after the 1851 Exhibition. The owner allowed me to photograph this Bread Oven fitted still in the kitchen (next to a large Aga) of this house at Cheriton Bishop. 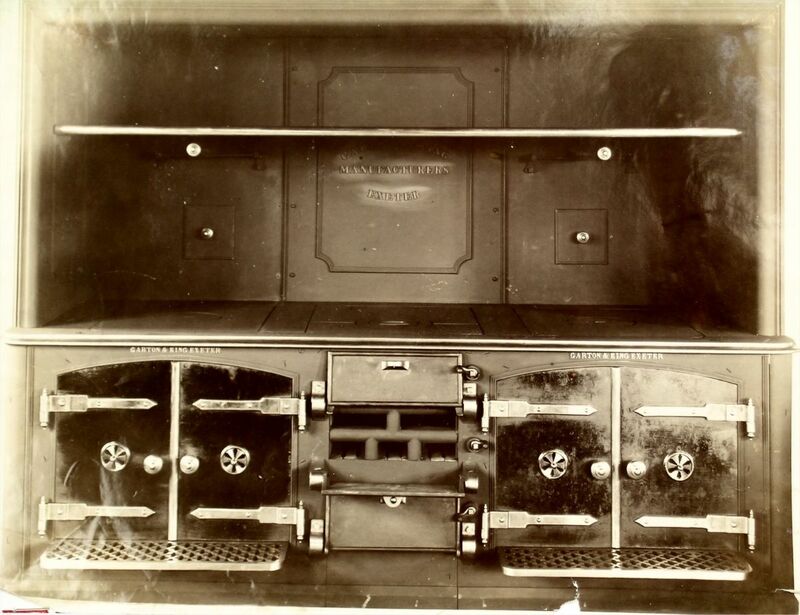 Many bread ovens never showed the manufacturer’s name – thankfully this one does.